Ukrainian start-ups are rushing to stake out the most profitable market niches in the agricultural sector, while venture investors foretell a bright future for agro-technologies, though showing no haste to invest in them. Meanwhile, some agro-corporations are already building their businesses on IT solutions of local developers. So, what is going on in the agtech market – a sector of agricultural technology, which is both new for Ukraine and rather controversial? The agricultural sector has long remained on the periphery of IT entrepreneurs and venture investors’ attention due to certain skepticism as for agtech, which is traditionally associated with agro-companies owners’ conservatism and low market reach of basic information technologies. However, in 2014, the situation started changing owing to one-off successful projects and growing interest from innovative agro-companies. It took only one year after the launch for Drone.ua to become the main airborne prospecting provider for Kernel, the largest agro-corporation in the country. Starting in 2015, it uses five quadrocopters and two drones, while forecasting the yield and receiving vegetation indexes and information on evaporation/nitrogen via an IT-solution of the Pixel Solutions start-up. Created in 2014, Petiole, a “smart” tracker for plant growth, hit the top 20 hot start-ups in 2015 according to CNBC, an American business TV channel. Although agtech still cannot compete with mainstream niches in a number of top projects, IT entrepreneurs’ interest in the agricultural sector has been growing from year to year. This is caused by an enormous share of the agro-industrial complex in Ukrainian economy. In 2014, the agro-industry became the largest source of the country’s foreign currency earnings. According to the State Fiscal Service, in 2015 Ukraine got $14.5 billion from the food and agricultural products export, which made up 38% of the total exports, while the metallurgical industry was left far behind with its share of 24.8%. Based on the Ministry of Agrarian Policy, in the 2014-2015 seasons Ukraine ranked third among the world’s leaders of grain exports, following the US and the EU. 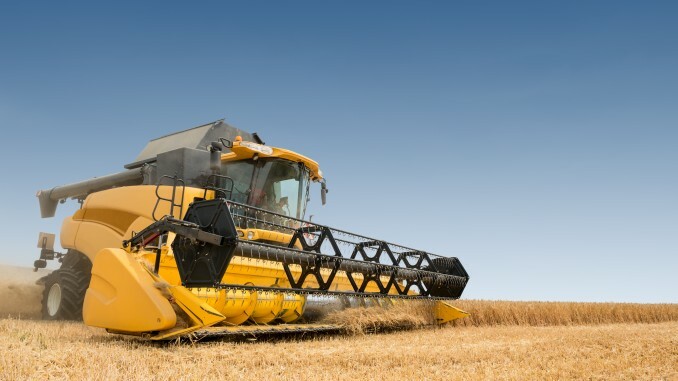 Also, agtech is attractive for Ukrainian IT entrepreneurs since this is one of the world’s trends and agtech projects are in demand among large agrarian corporations, though sometimes this demand doesn’t get corresponding financial support. In general, local IT entrepreneurs don’t tend to overestimate the current Ukrainian market readiness, often considering the domestic agtech a testing ground.